During the Victorian Era, the wide availability of water-powered and later, steam-powered, machinery made fabrication of architectural details much less labor intensive than previously. 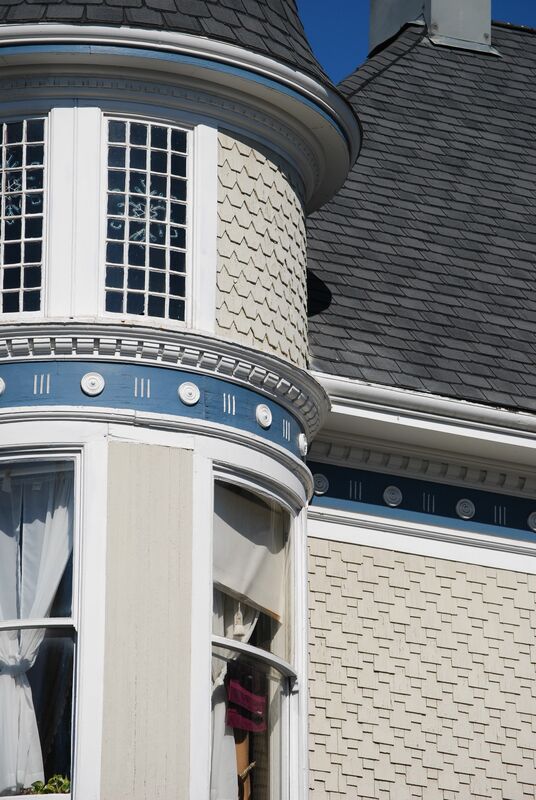 Creative ornamental details no longer required the skills of a wood carver, master carpenter, or stone mason, and many architectural elements could be factory-made and ordered from catalogues. In fact, architectural ornamentation became so inexpensive that several home styles in the US are known for their overabundance of gingerbread. Even industrial spaces were built with included ornamentation. As the Steampunk Aesthetic relies heavily upon Victorian design, it follows that much of Victorian design could also be called “Steampunk”. And since, steampunk overlies a veneer of fantasy, whimsy, or imagination onto the wood, bricks, and cast iron of the Victorian, the more ornate the building the better. So, what do I think are some examples of real-life Steampunk Architecture?